The Warreen was built by the Melbourne Harbour Trust, Williamstown in 1938 as a fisheries research trawler for the Commonwealth Government Council for Scientific and Industrial Research (CSIR), now the Commonwealth Scientific and Industrial Research Organisation (CSIRO). In 1942 the CSIRO decided Warreen should be laid up for the duration of the war, unless she could be put to good use by the armed forces. The council consequently offered the vessel to the Royal Australian Navy. 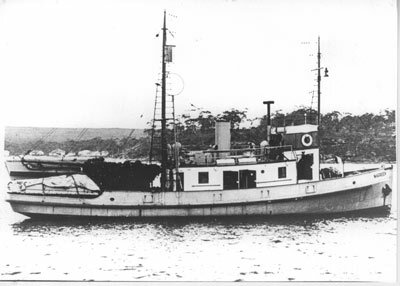 On inspection the navy decided that Warreen would be suitable for naval use as a survey vessel and she was subsequently taken over by the RAN at Garden Island, Sydney, on 1 October 1942 and commissioned as HMAS Stella on 22 October 1942. Stella sailed from Sydney on 26 October 1942 and for almost two years operated on survey duties in the New Guinea area including surveys along the north coast in support of operations at Buna and Lae. From September 1944 the vessel operated mainly in northern Australian waters, based at Darwin. On 19 December 1945 Stella was decommissioned at Fremantle and was handed back to the CSIR on 29 October 1946 reverting to her former name of Warreen. Warreen was later purchased by the RAN when she ceased to be of further use to the CSIR. She was commissioned as HMAS Warreen on 16 April 1952 as a tender to HMAS Leeuwin, at Fremantle, and was employed conducting survey duties around the Australian coast until 11 March 1957 when her ship's company transferred to HMAS Warrego (II). The ship was then formally handed over to the control of the Resident Naval Officer - South Australia and used for training naval reservists in South Australia. 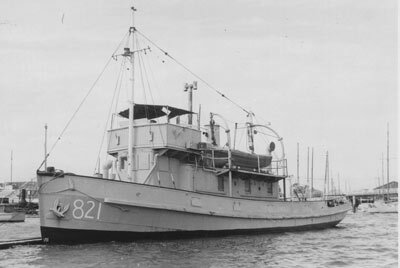 She was later classified as a General Purpose Vessel (GPV) and assigned the pendant number GPV 821 in addition to her name. In April 1965 it was decided to dispose of Warreen and on 31 March 1966 she was sold to H. Stanke and Sons Pty Ltd of Carpenter Rocks, South Australia.